Education is the key to becoming a successful forex trader. While there are many fine further education courses out there for those who are looking to learn the basics of trading and hone their skills, they can be quite expensive. However, if you are self-disciplined enough to study independently, without the need for external pressures to guide your development, then there are many online educational resources that are available free of charge. 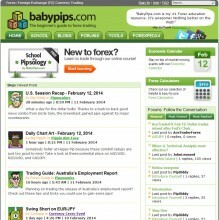 One of the leading lights in this field is Babypips, a popular forex education website that combines a range of useful resources for traders of all experience levels, including an online course, analyst blogs, a busy forum, a forex encyclopedia, and tools including an economic calendar, a brokers guide, a currency converter, and various specialised forex calculators. Perhaps the most immediately obvious difference between Babypips and competitors such as Forex Factory and Forex Crunch is the friendly, cartoony tone adopted throughout. 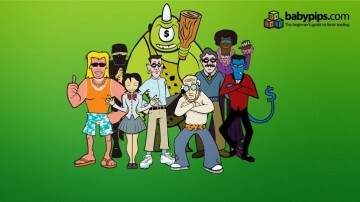 The site makes use of cute, comic book-esque graphics throughout, with their analysts being referred to collectively as the ‘FX Men’, with pseudonyms such as Robopip, Forexninja, and Cleopiptra, and are depicted as cartoon characters. It’s all an effort to make forex trading, traditionally a rather dry world of charts and number-crunching analysts, that little bit more accessible and fun for the beginner. While the constant stream of pip-related puns and jokey asides may not be to everyone’s taste, they certainly mark a departure from the norm for this type of website. Despite the air of levity that pervades all the content on the site, the information is as solid and as in-depth as you will find anywhere. In particular, their ‘School of Pipsology’ covers a very comprehensive range of topics from the basics of the forex market and placing trades to sophisticated analysis techniques. It does quite a good job of demystifying some of the more complex topics, and the friendly tone can help to assuage some of the boredom that can set in when discussing technical topics of any nature. It takes the trader on a journey from novice to expert via short, modular lessons that can be ticked off as they are completed so that you can keep track of your progress. The blogs section is the main focus of the site aside from the school, and is updated on a daily basis by a team of top analysts from the world of currency trading. 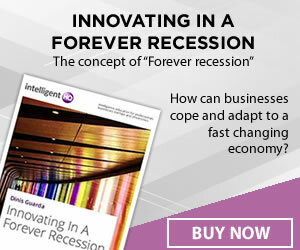 Each specialises on a different topic, with Robopip for example covering algorithmic trading techniques, and Pip Surfer covering trading systems. They also post their most recent trades on the website in a similar fashion to social trading websites. The forum on the website might not be as heavily populated as the ubiquitous Forex Factory forum, but it is nonetheless a useful and well-moderated resource with a lot of knowledgeable contributors. The most popular sections, at the time of writing, are Newbie Island, which as the name suggests covers the questions of beginner traders, and Free Forex Trading Systems, where users can view and share systems for trading the forex market. Forex Economic Calendar – a guide to when to expect all the major market-moving news releases, market holidays, and other currency-related events. Forex Broker’s Guide – everything you need to help you choose a forex broker, including what to look for, a comprehensive list of brokers with all the essential stats, a broker comparison tool that enables you to view detailed information about up to three brokers side-by-side, links to the relevant national regulatory organizations, and a glossary of commonly-used terminology. Currency Converter – A simple converter for finding out how much one unit of currency will buy you of another at the current bank rates. Forex Calculators – A range of useful calculators to help you assess and evaluate trades and set up charts, including a Fibonacci Calculator, a Pip Value calculator, a Pivot Point calculator, a Position Size calculator, and a Risk/Reward calculator. The other main resource on the site is the Forexpedia, a free encyclopedia covering all the forex terminology you are likely to come across, in an easy letter-search format. So if you ever come across a word or phrase, and you’re not sure what it means exactly, then you can look it up here and all will be revealed. All in all, Babypips is a friendly and welcoming addition to the world of forex trading online, providing an easy route into learning about trading for beginners, but with enough depth of information to keep experienced traders coming back for new ideas and to brush up on their knowledge and skills. In addition to the constantly-updated information on the site, they are also very active on Twitter and Facebook, with regular market updates and links to useful resources.